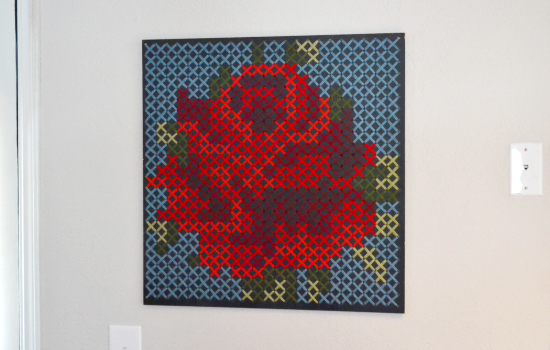 Have you ever cross stitched on pegboard? I have always wanted to try. I would love to have a poster size cross stitch for my craft room wall. Alison from Dream a Little Bigger gives step-by-step instructions how how to make this beautiful peg board cross stitch. I’m so excited to give it a whirl!